Bloated? Tummy pain? Diarrhoea or constipation? 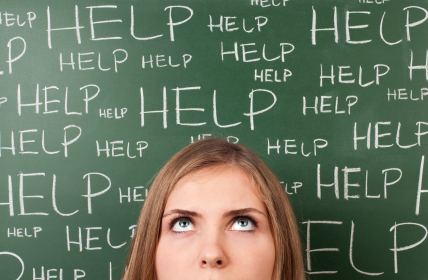 Are you frustrated that your doctors are unsure about what to advise for your diet? Unfortunately, most UK doctors, and even gastroenterologists, have very limited training in nutrition and the effects of food on the gut. I help clients with Irritable Bowel Syndrome (IBS), IBD (Crohn’s, Ulcerative Colitis), heartburn, gas, bloating, abdominal discomfort, diarrhoea, constipation, and other digestive health issues. Have you been diagnosed with a digestion disorder? I have 15 years of experience as a Registered Dietitian in the NHS and private practice, as well as specialist training in the treatment of digestion problems. I can never guarantee ‘curing’ your digestion, but the vast majority of my clients see a significant improvement in symptoms. Irritable Bowel Syndrome is a disorder where the bowel looks normal, but it doesn’t function properly. It is incredibly common, affecting about 1 in 5 people in the UK. The diagnosis of IBS is usually made when other conditions such as coeliac disease, Crohn’s Disease, colitis, have been ruled out. Symptoms include bloating, wind, diarrhoea, constipation, acid reflux, nausea and abdominal pain. Current advice from your GP may include: reduce stress, adjust fibre intake, regular meals, restrict caffeine, fruit juice, fruit and sorbitol, exercise and probiotics. Medications such as laxatives, anti-diarrheals, anti-spasmodics and anti-depressants are often prescribed. Unfortunately, IBS patients can be left frustrated because these medications in conjunction with the dietary and lifestyle changes can be unsatisfactory solutions. Some common high FODMAP foods include wheat (so in bread, pasta, biscuits etc), apples, pears, garlic, onions, lentils, beans, some vegetables, milk, and some artificial sweeteners. The low FODMAP diet involves many dietary changes that are best described to you in consultation with a dietitian. Additionally, not everyone reacts to the same FODMAPs, which is why it is important to have the advice of an experienced dietitian to help you negotiate the various phases of the diet. 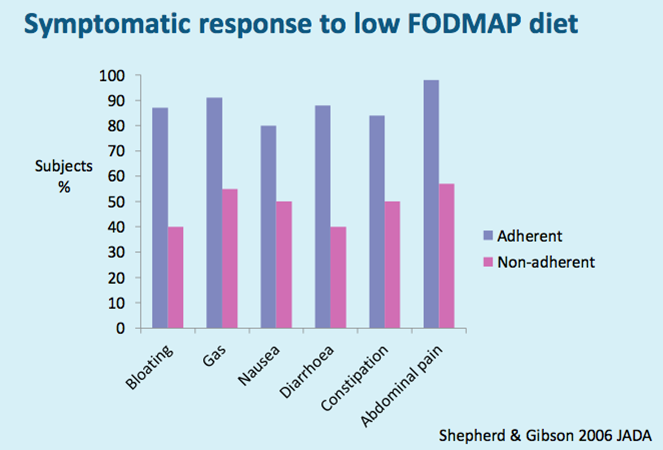 The low FODMAP diet is carried out in two stages. The aim is to identify the FODMAP foods causing problems that are specific to YOU. Every person reacts differently to each food category, and can tolerate certain amounts. I hold weekly clinics at Kingston Health Centre, telephone appointments are also available for those unable to travel to the clinic. You do not need a referral from your GP or gastroenterologist, however, it is important that prior to your appointment a diagnosis of IBS has been made. Assessment of pre appointment questionnaire and food diary filled in and emailed to me before appointment. You can tell me about your IBS, how it affects you, what advice and treatments you have had, your thoughts and opinions on triggers, what helps etc.